ALTIS – Online Coach Education has never been so fulfilling. ALTIS is an elite training environment for athletes, and a global leader in the provision of education for sport performance. Learn from esteemed coaches, educators, Olympic medalists, and world champions who share their knowledge and experience to inspire the growth of others. Some of the most successful sport practitioners on the planet have come together to develop cross-sport digital education courses to take your career to the next level. Learn from legendary coaches at your own pace and join an ever growing community of sports practitioners raising their game. Access anywhere, anytime, on any device. Fortify your sport performance knowledge with access to a private vault of 100s of exclusive ALTIS videos on a wide-range of topics. Frequently-released videos feature behind-the-scenes footage, lectures, training principles, and more from elite ALTIS staff and athletes. Join ALTIS for experiential sport performance education that leaves an impression. With our blend of formal and informal provision, you’ll learn from expert practitioners as they share their methods during live coaching sessions with world-class athletes. Plus, experience cutting-edge presentations and engage in lively discussions and daily roundtables. The latest and greatest from the ALTIS education hub. This Introduction to Performance Therapy Program is a two day intensive course taught by ALTIS Lead Performance Therapist Dr. Jas Randhawa and ALTIS Head Coach Dan Pfaff designed to introduce delegates to an eclectic framework of movement-centric therapy geared towards the performance environment. Join us April 26 - 27 in Lake Tahoe, CA. 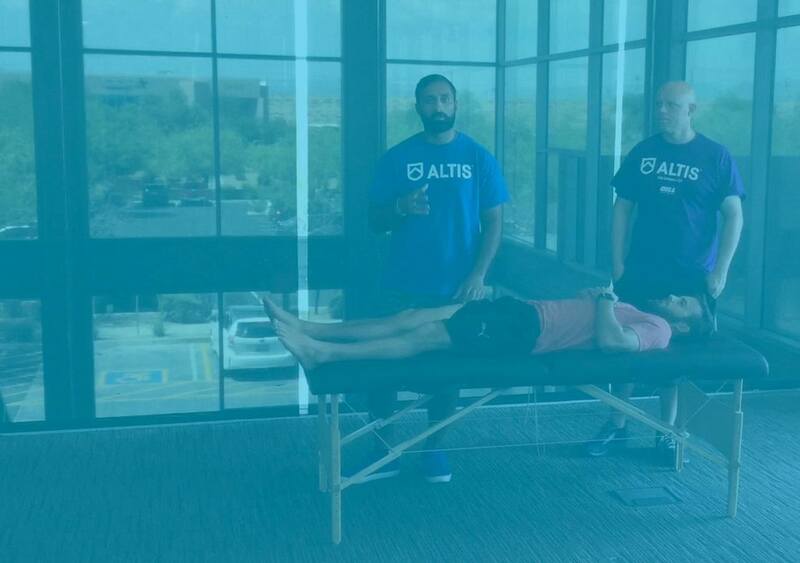 ALTIS is home to some of the world’s greatest coaches, therapists, and practitioners. Athletes trained by ALTIS coaches dominate their sport and change the game. Sign up for insights, discounts, & more. Straight to your inbox.